We Built This City is on a freakin’ TEAR this month. 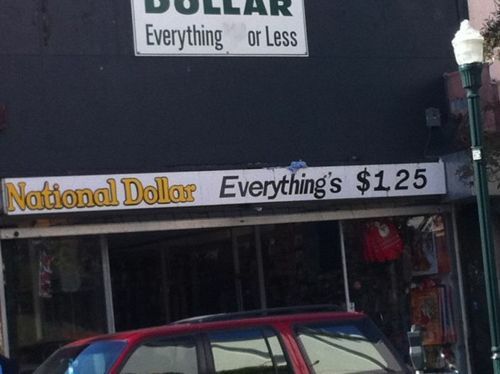 Of course, this leads to the question — at what point did inflation cause a dollar store to resonate in society? References to 1960s prices in Mad Men are probably the greatest cause of hits on inflation calculators in all of history. Over the course of say 50 years, a dollar stopped being a lot of money, then was a good value, but soon started seeming cheap. My guess was the 70s. We have evidence of this from the history of the Mission! (Big surprise, I know). 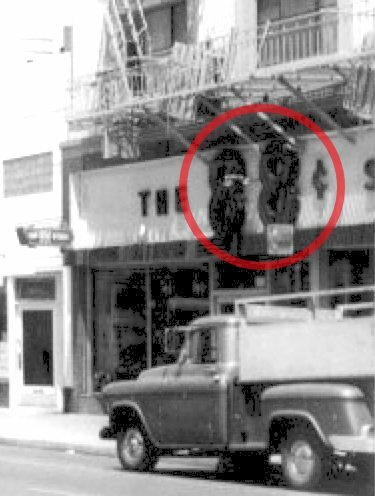 Look to the right of this 1970 shot (SFPL) of the Grand Theatre — it’s an 88 cent store! 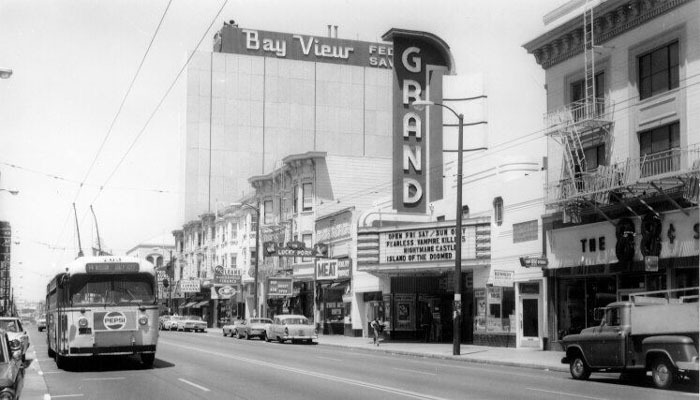 Summary view of the Grand and its neighbors in 1970, 2007, 2010. Until a few years ago, the Grand Theater was the “China Bazaar Wholesale“, while the former home of 88¢ delights is a video game store. Thanks, I got laid off so lots of time to take pictures. The great thing about the dollar store’s other sign is that it now reads “Everything [blank] or less” … They could have just added an F so it read “Everything for less” and it would have at least made sense. But I guess that kind of ingenuity costs more than $1.25. Aieee, sorry to hear that – if only blogging were more lucrative. At least you’ve had good walking around weather. Don’t move back to the suburbs, OK?